This is one of a series of photos I prepared with a vintage photo album theme. 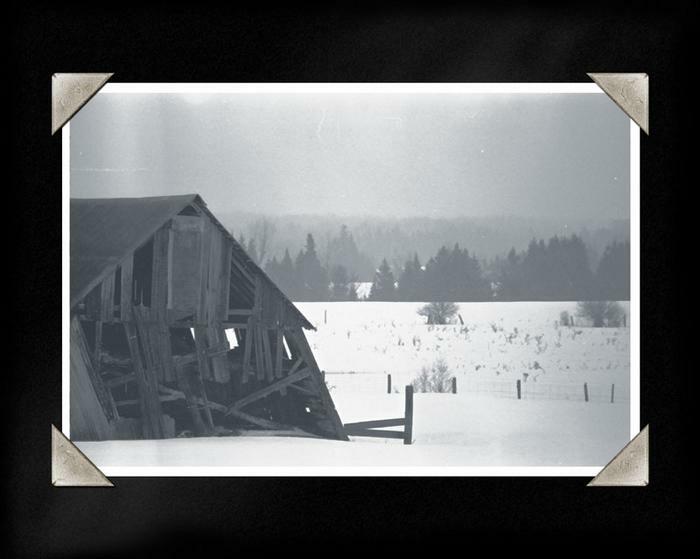 The tilting barn listed a few degrees more every year for about a decade. It collapsed almost exactly one year after this photo was taken.